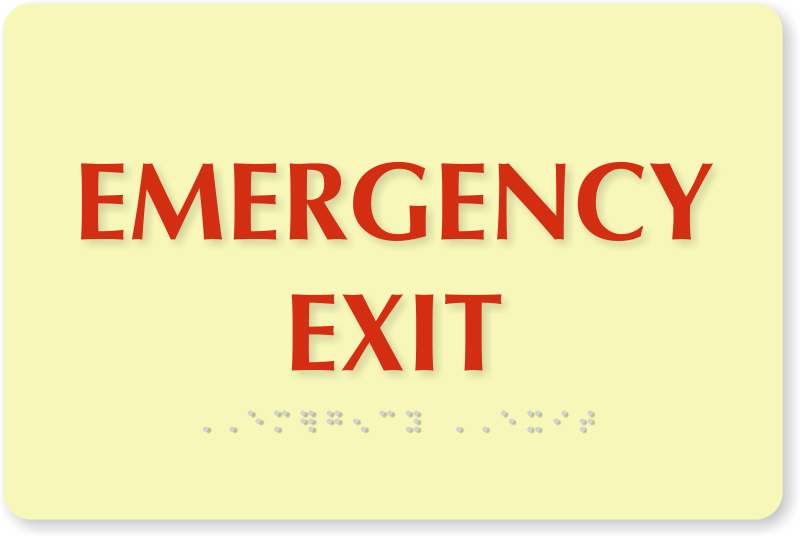 Every second counts in an emergency. 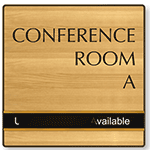 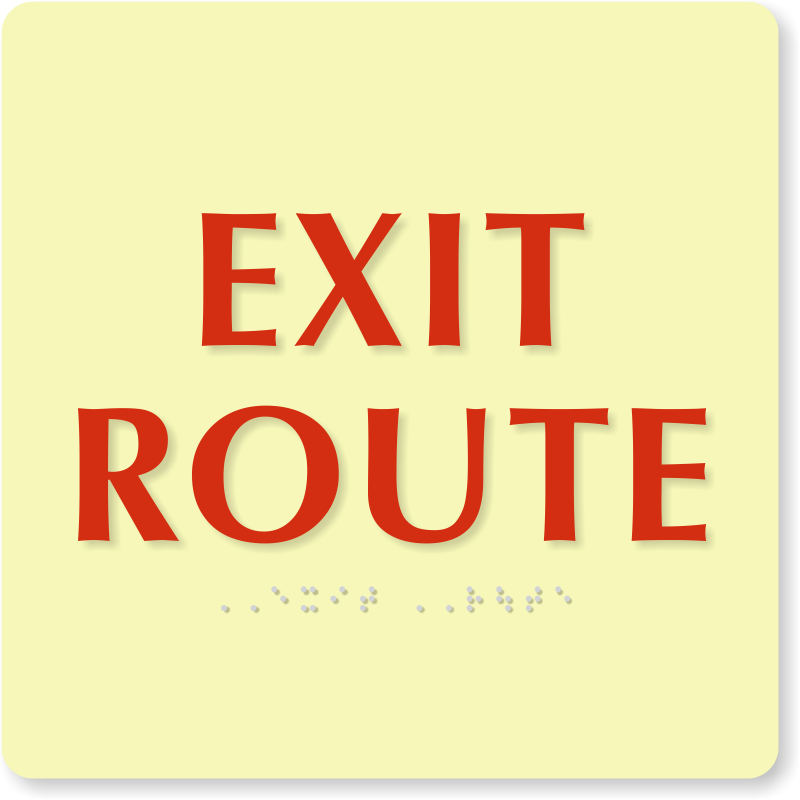 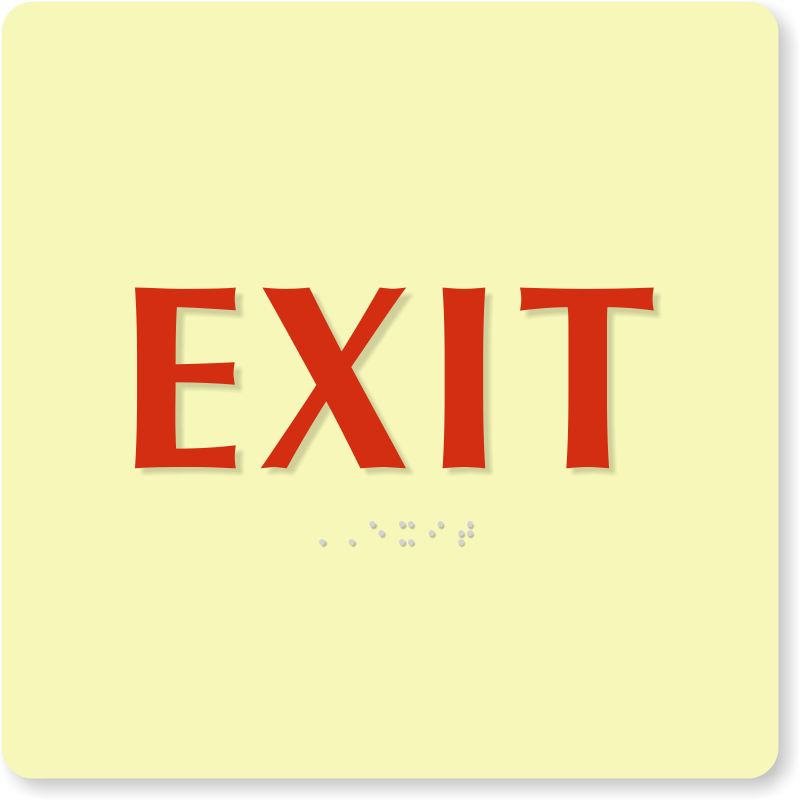 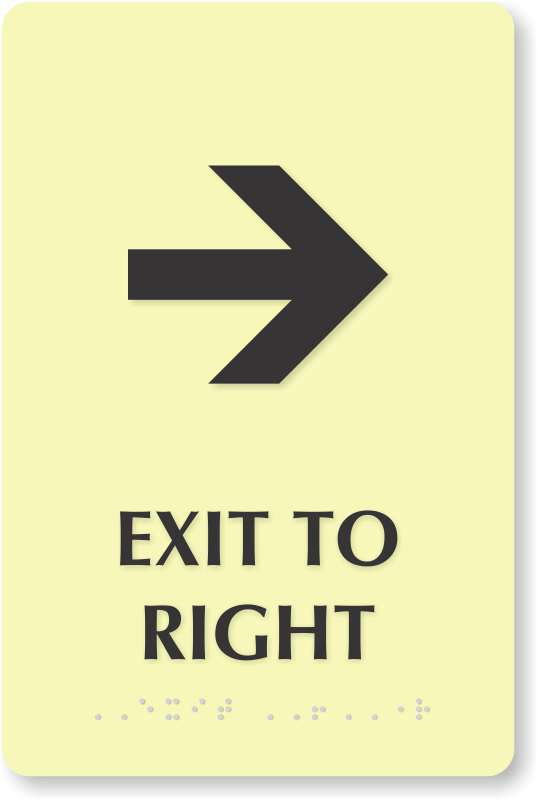 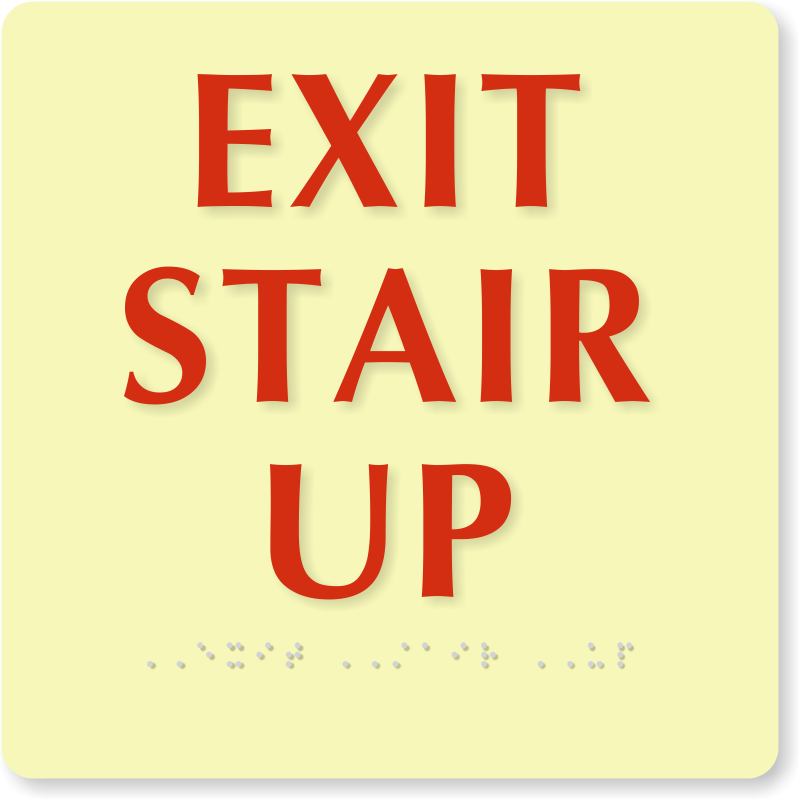 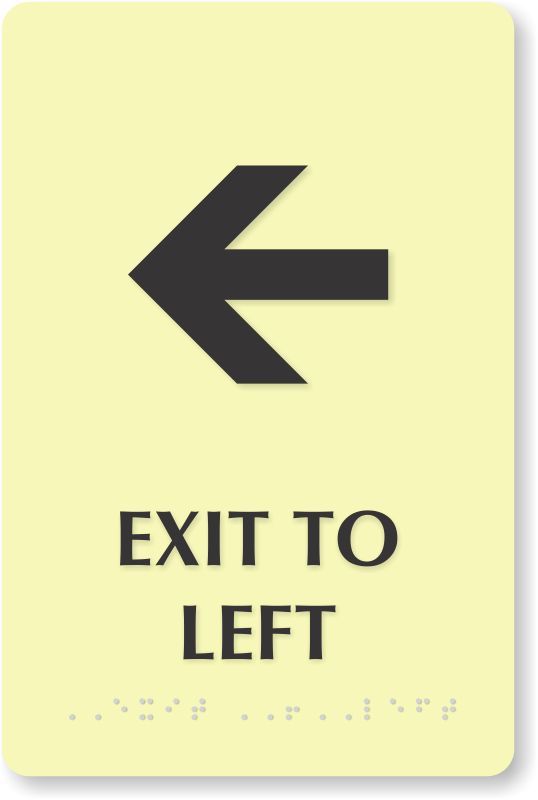 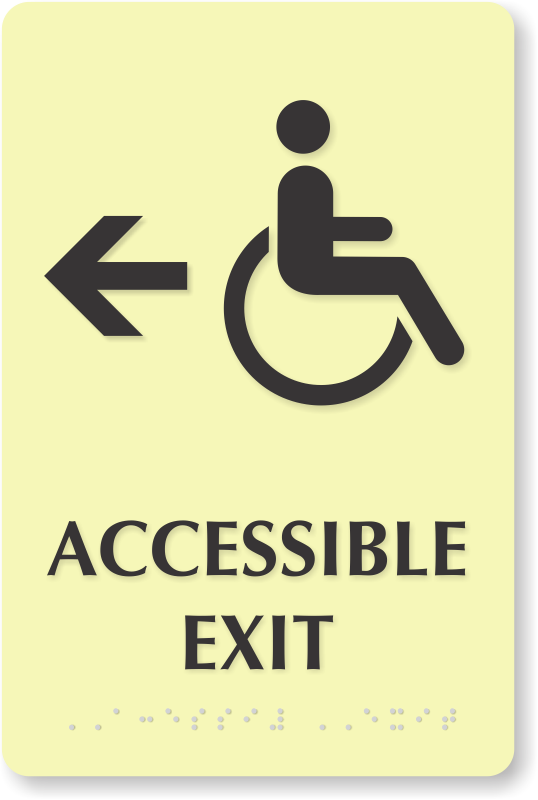 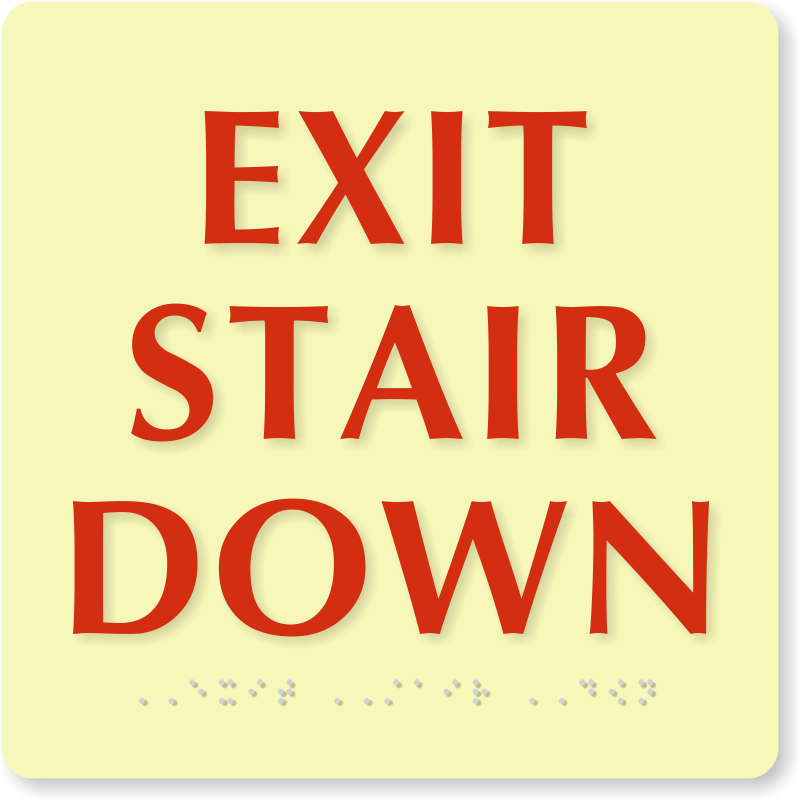 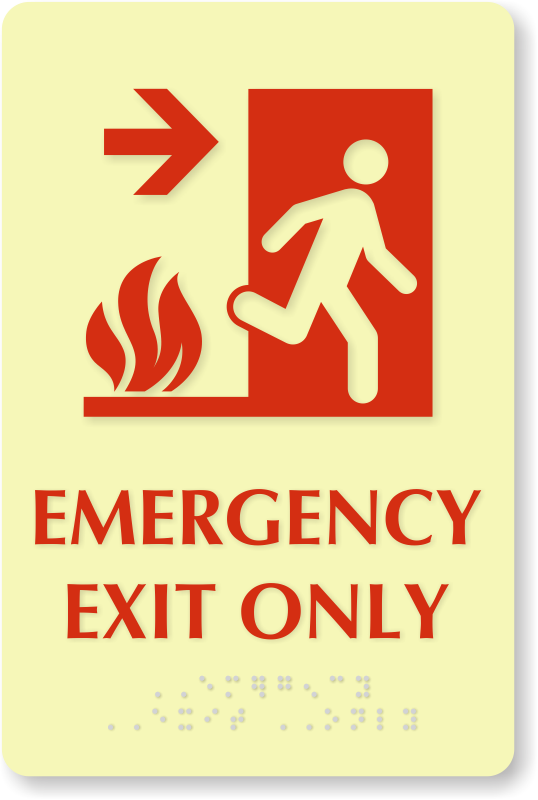 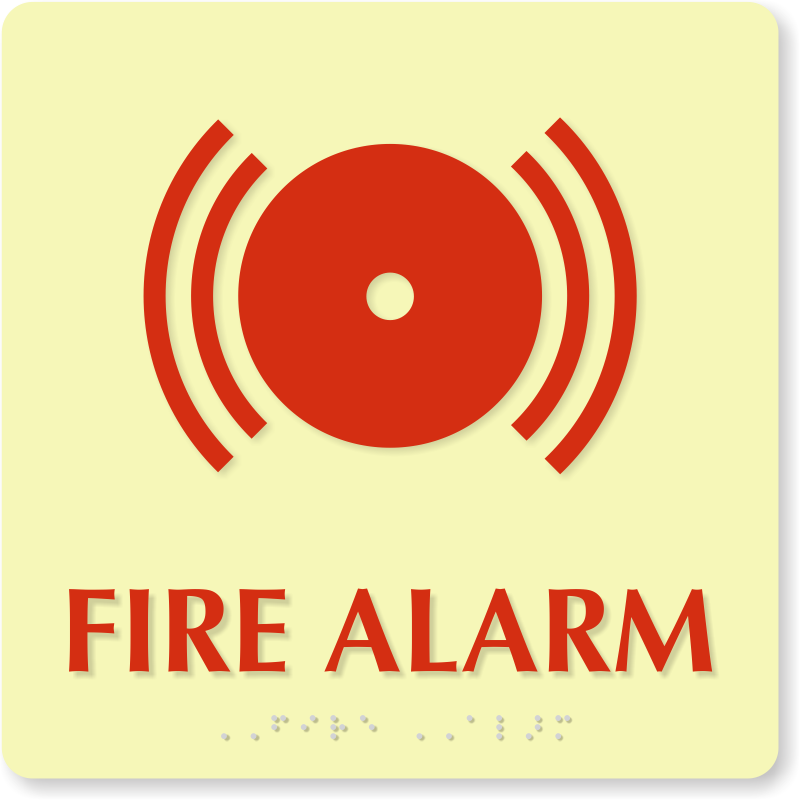 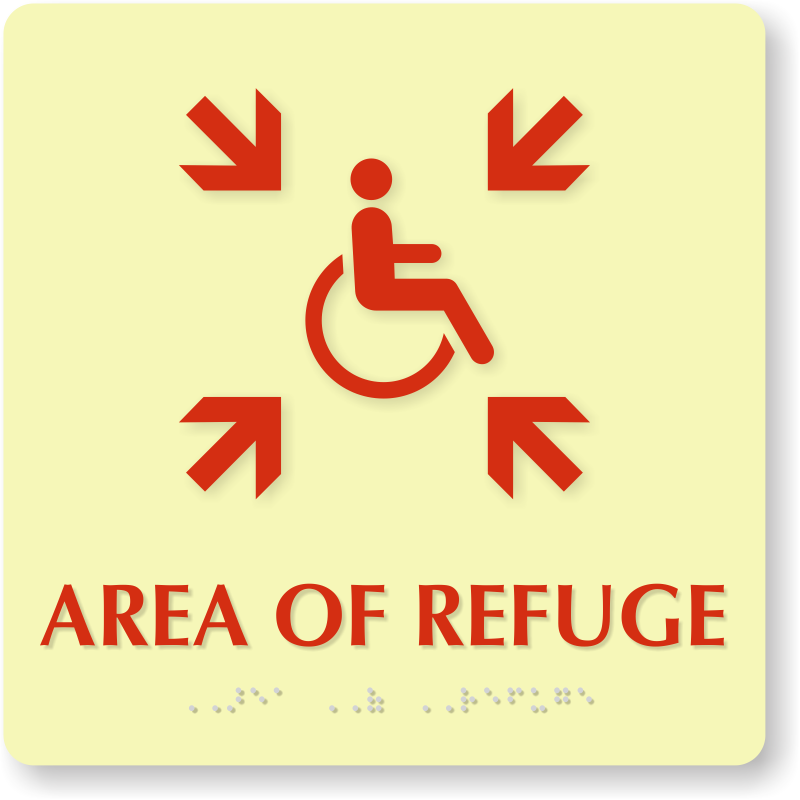 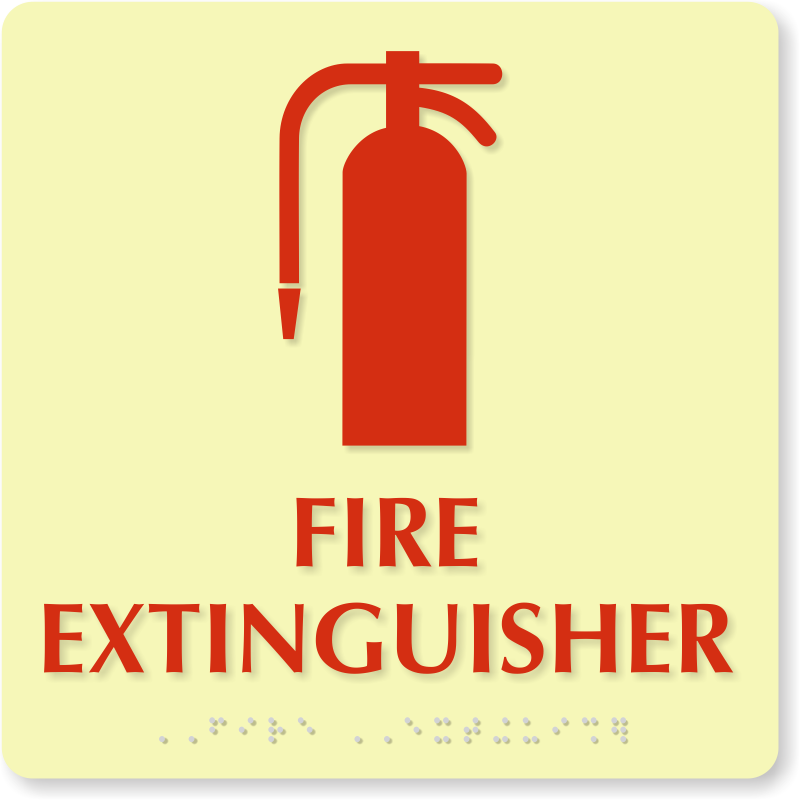 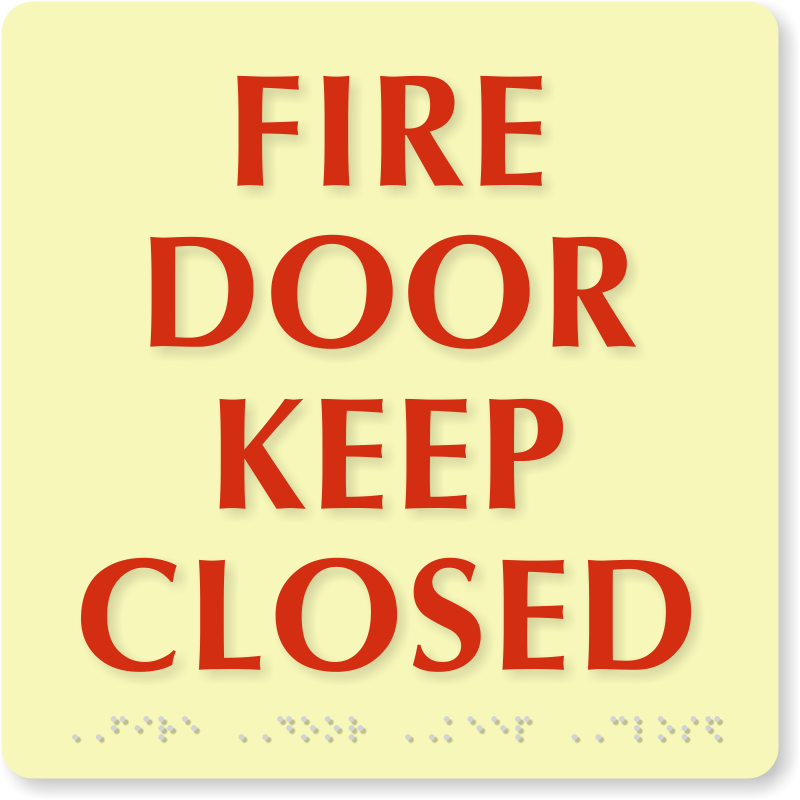 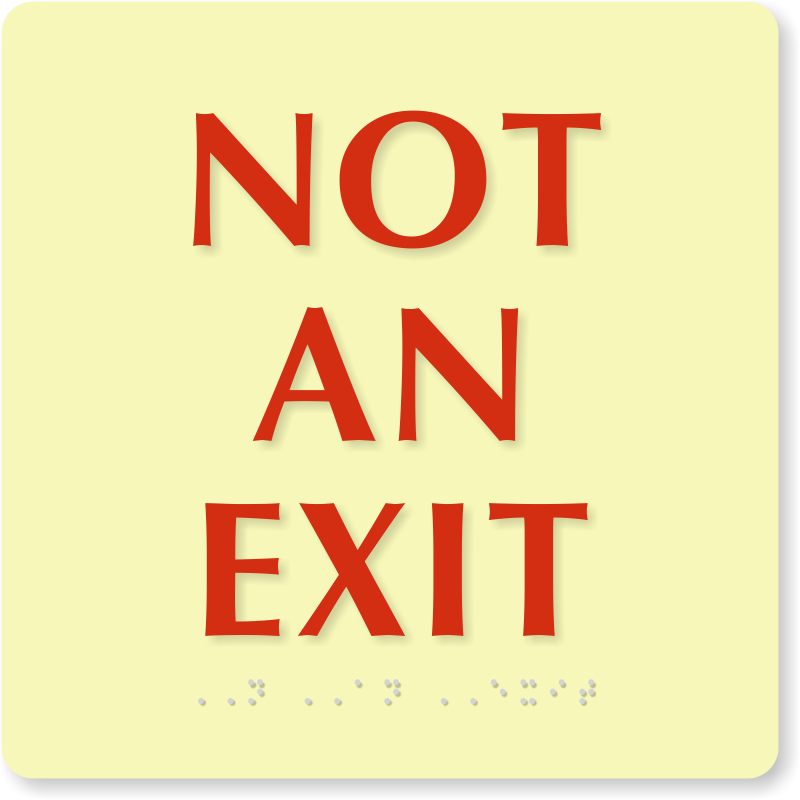 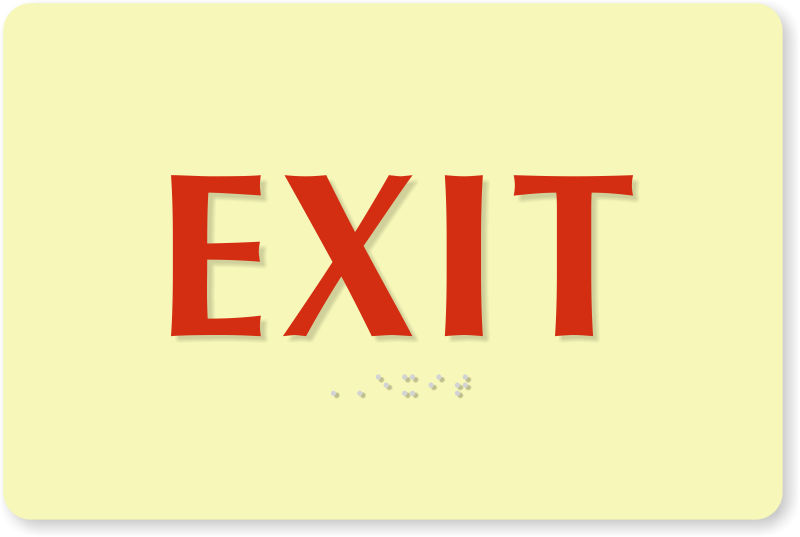 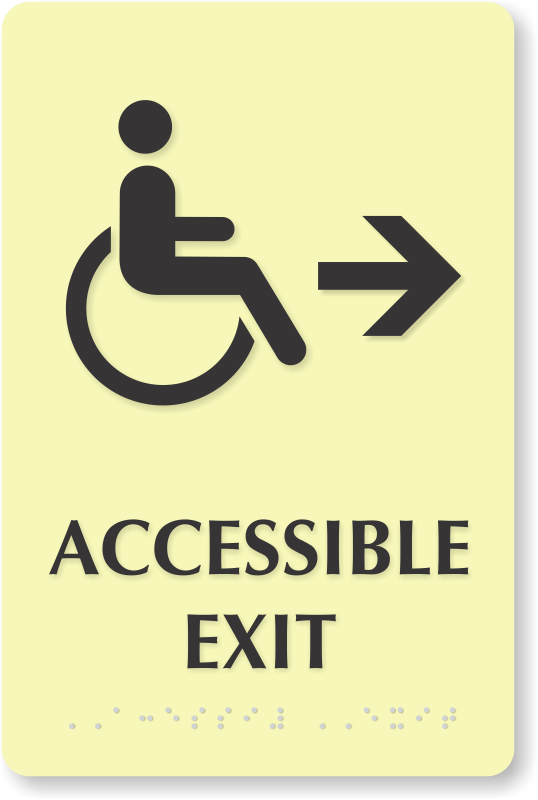 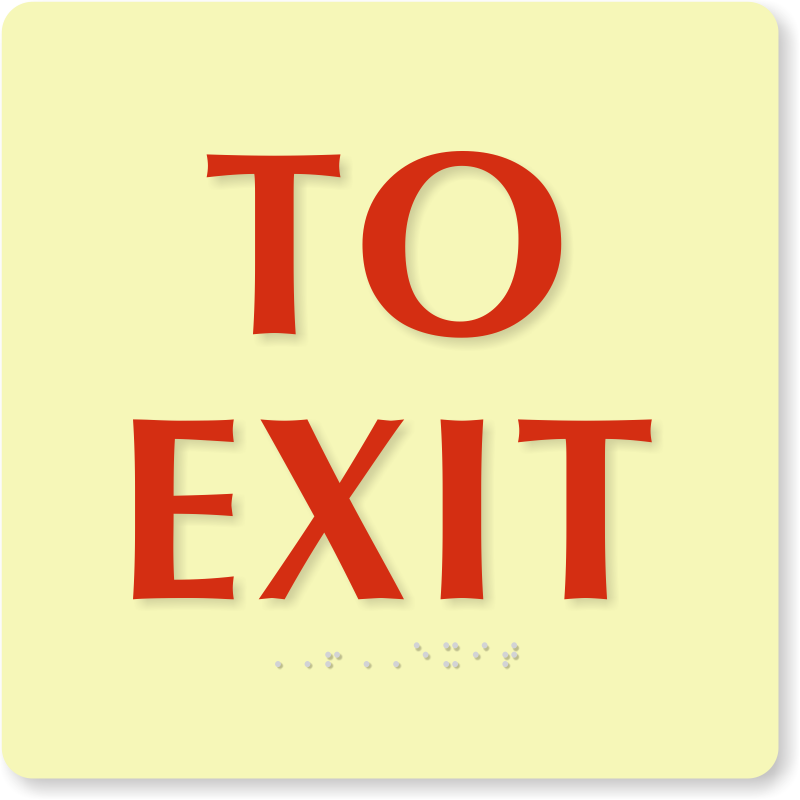 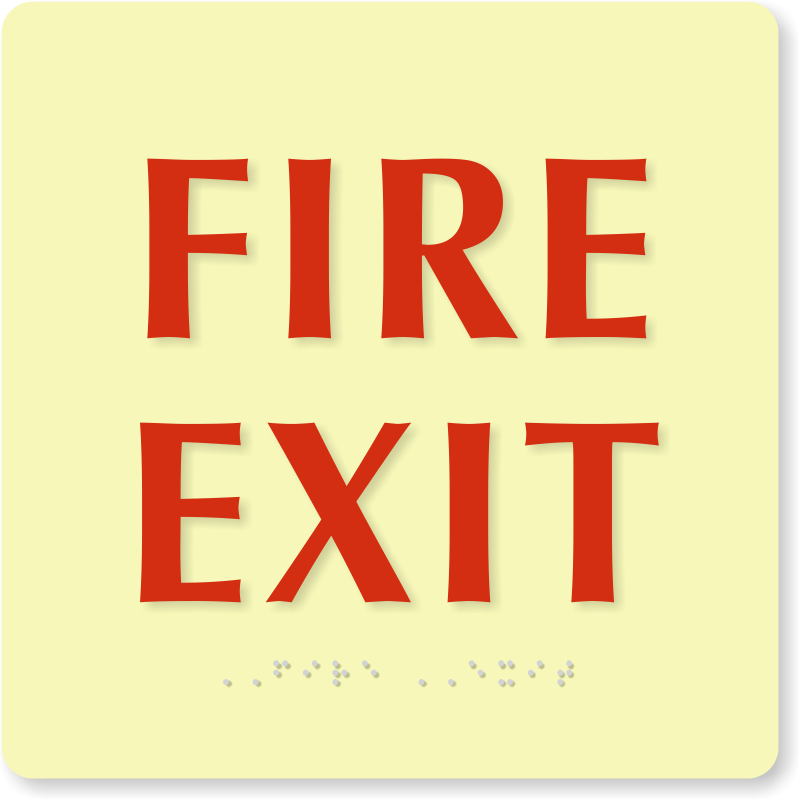 Post ADA compliant Photoluminescent Braille Signs to mark fire extinguishers, electric room, exits and other important areas in a building when you don't have time to lose. 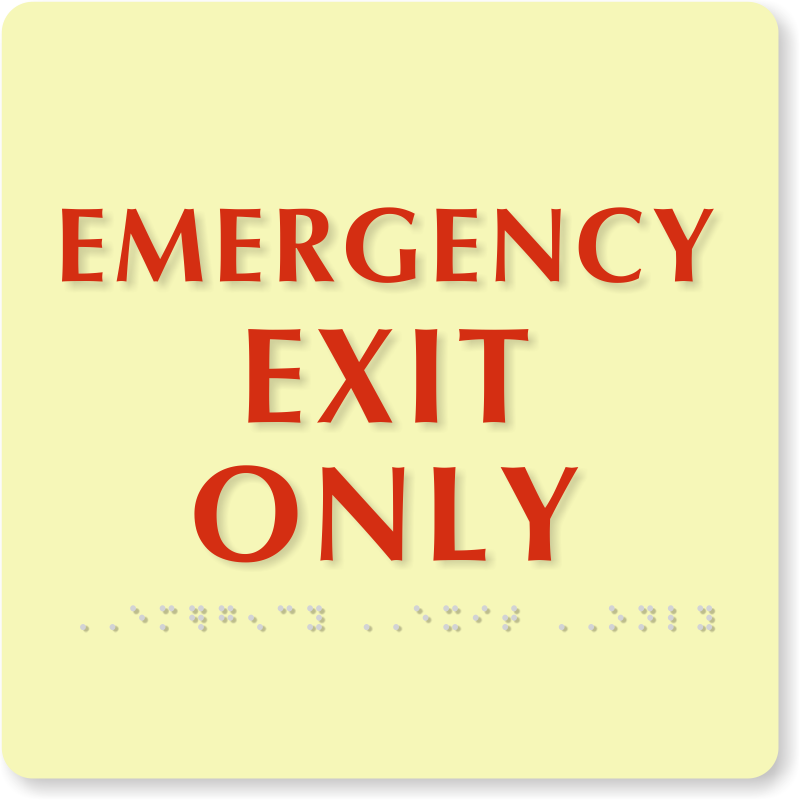 Photoluminescent signs glow in the dark and ensure that they are easily visible during any emergency when there's a blackout or temporary power cut. 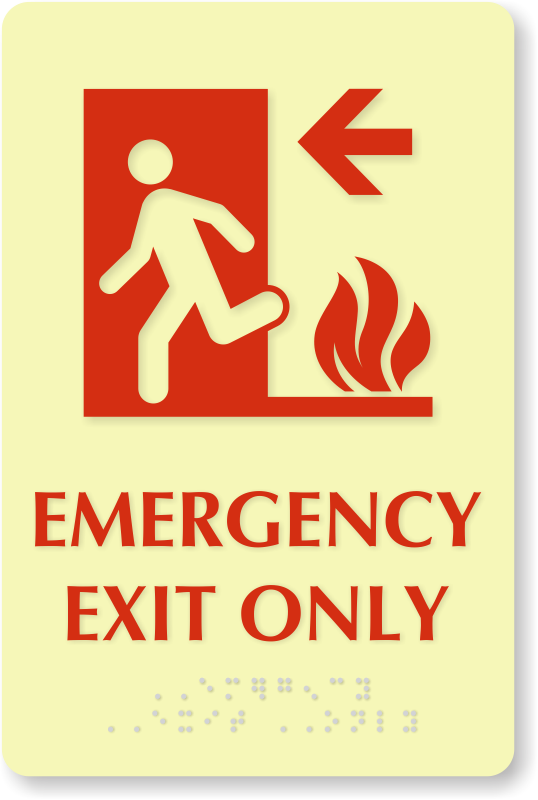 • Photoluminescent signs use IPI materials that have received MEA certification from the NYC Department of Buildings. 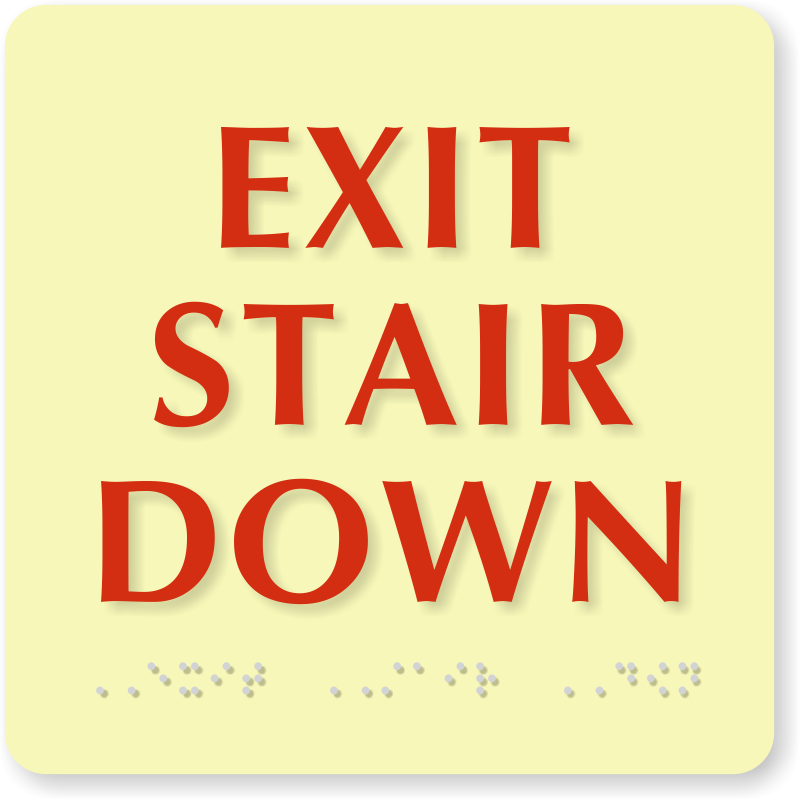 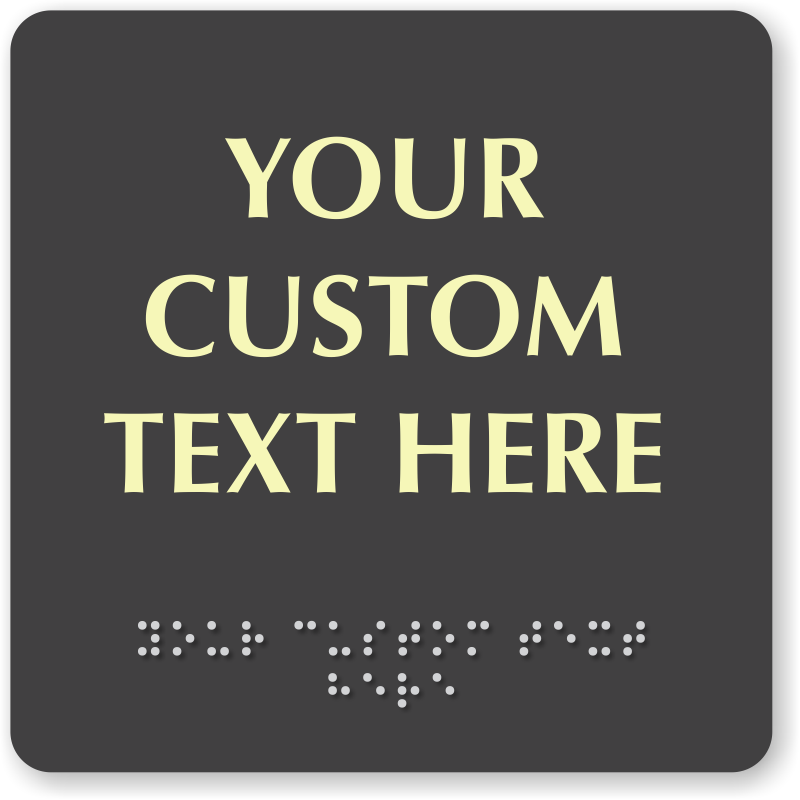 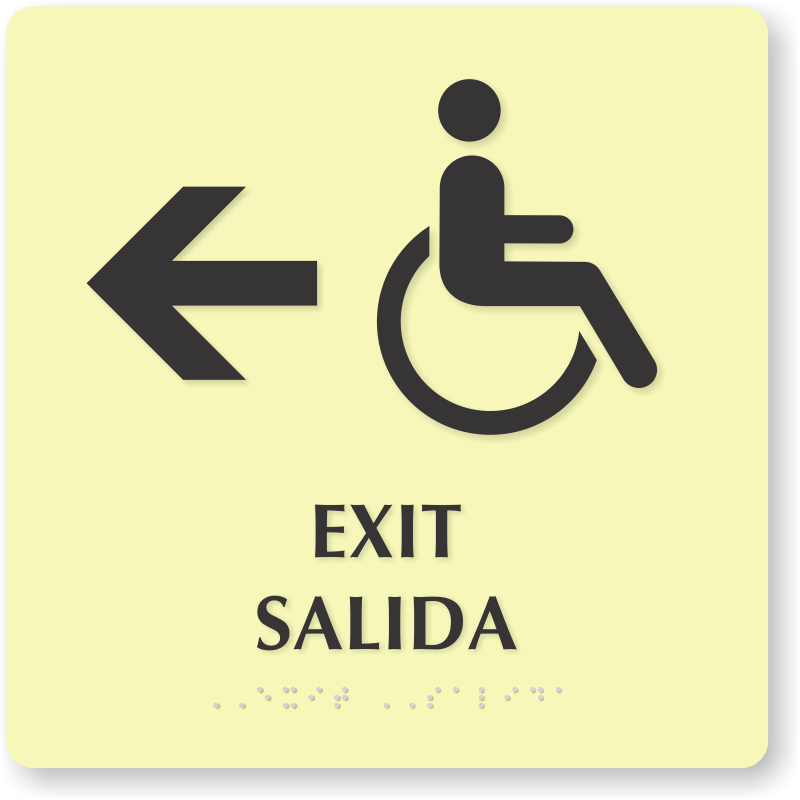 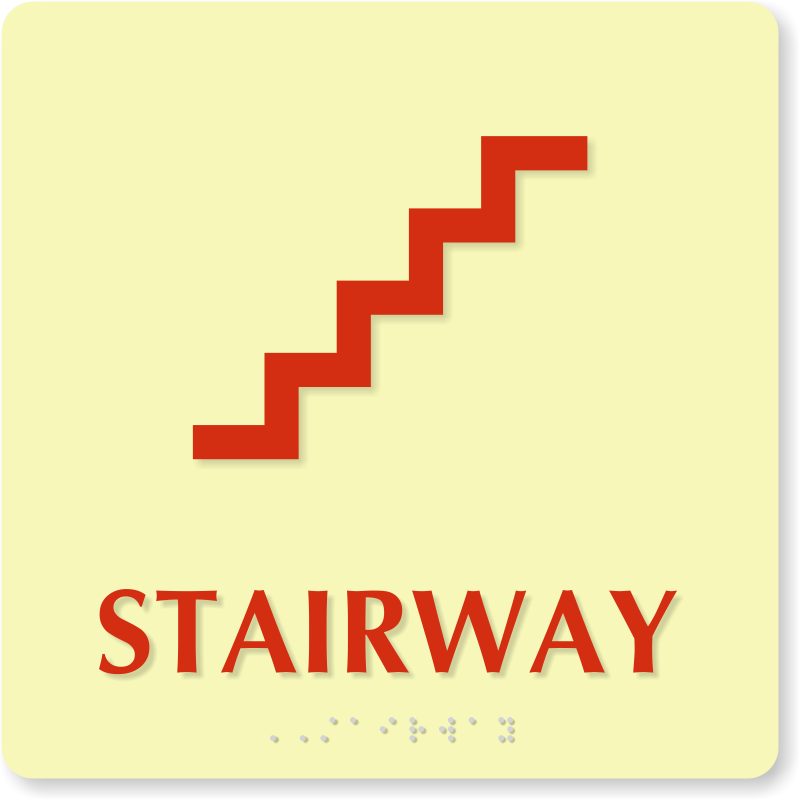 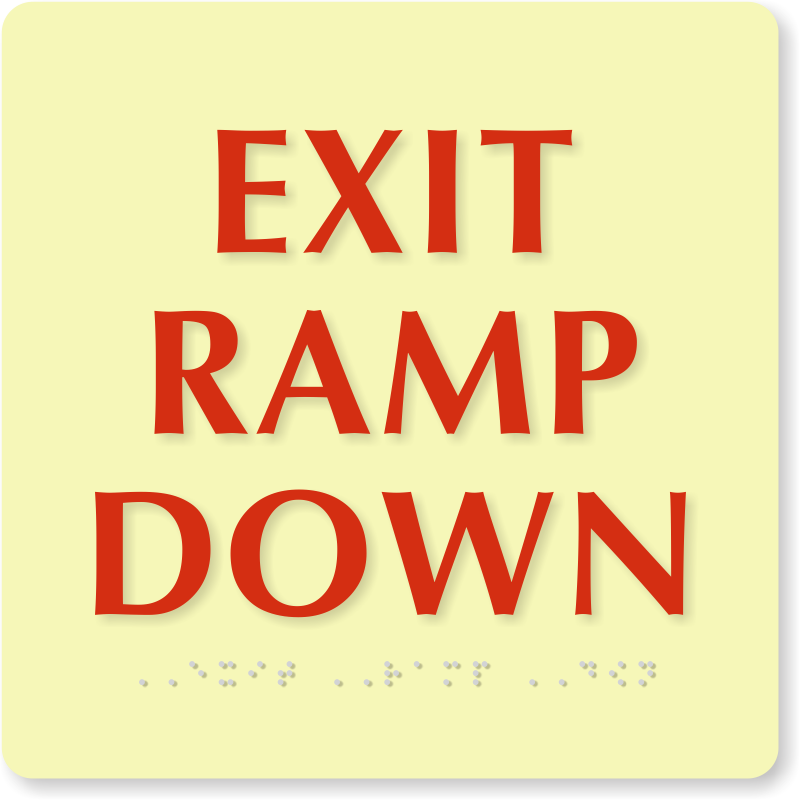 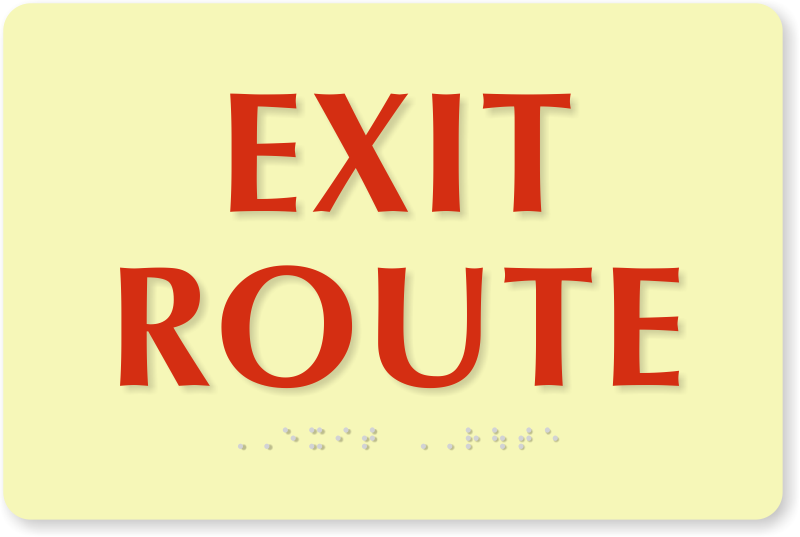 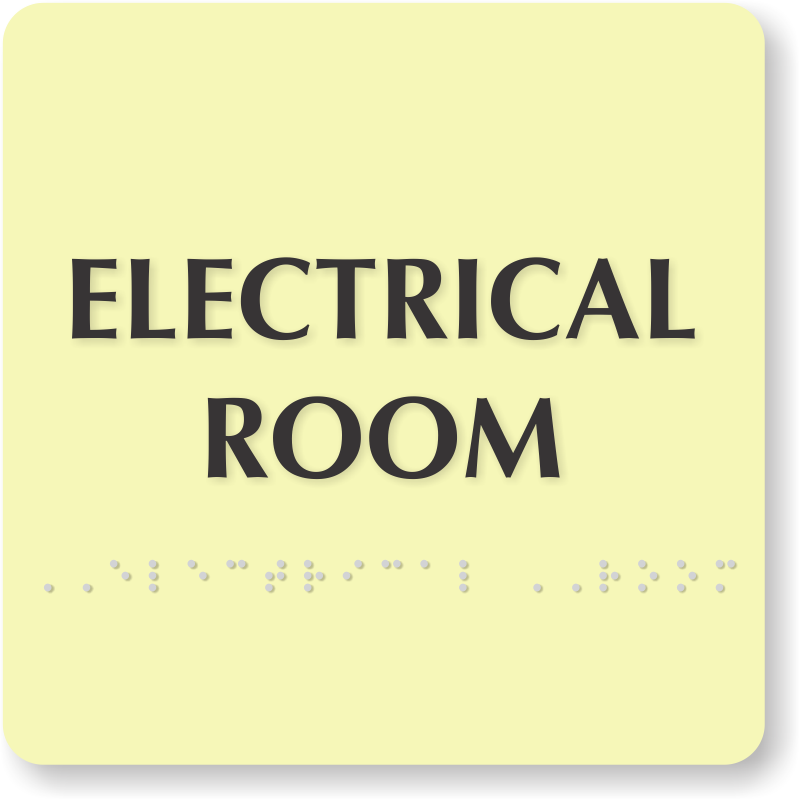 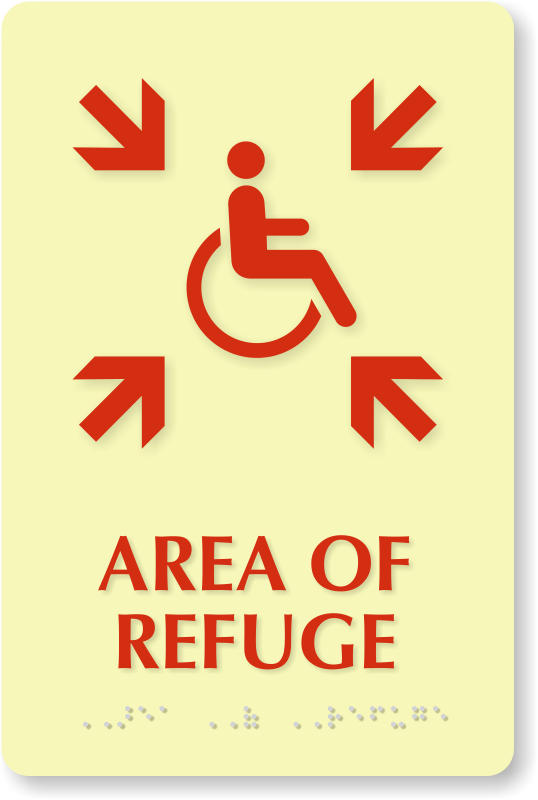 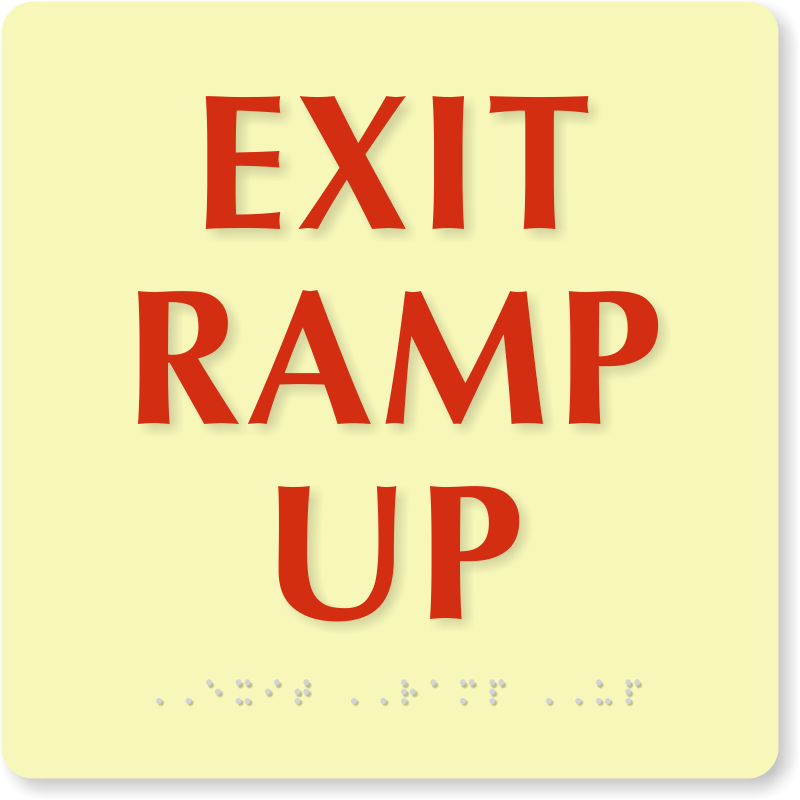 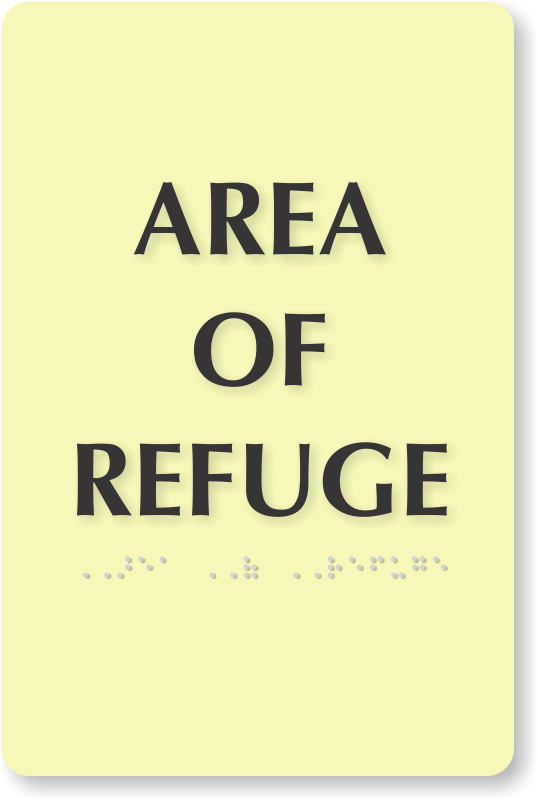 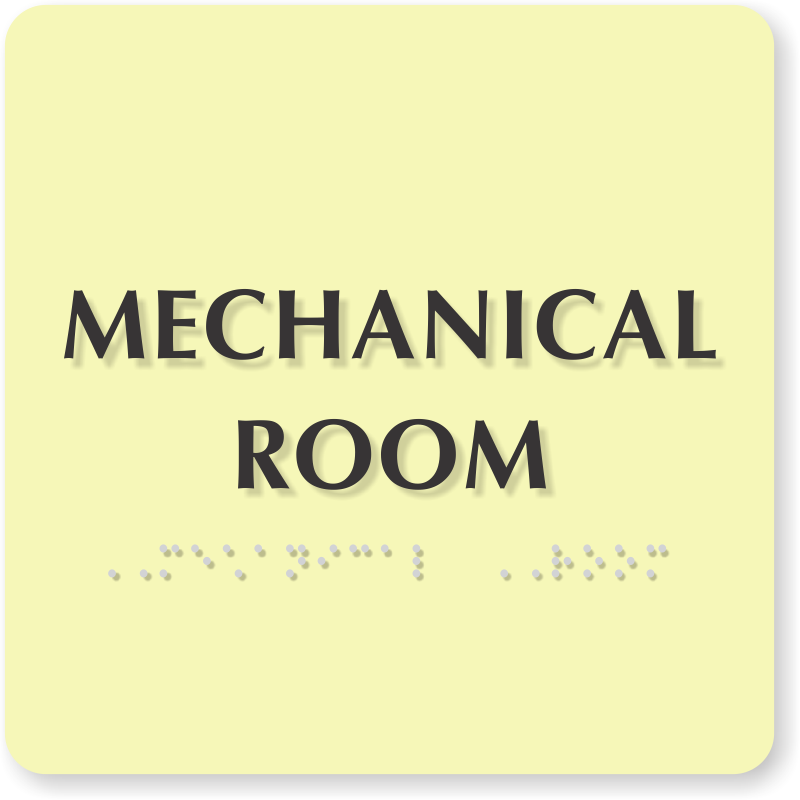 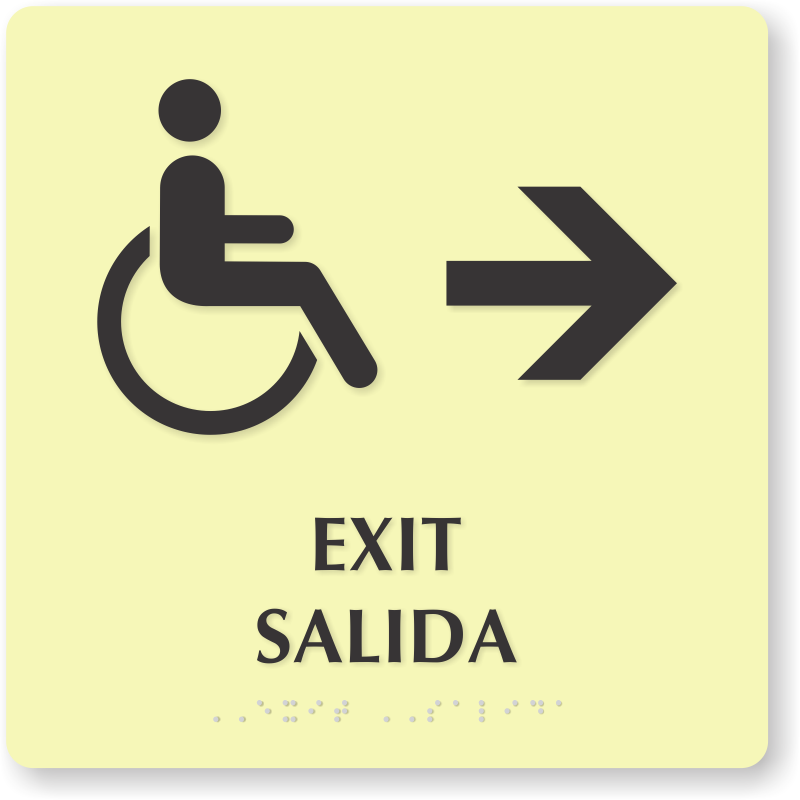 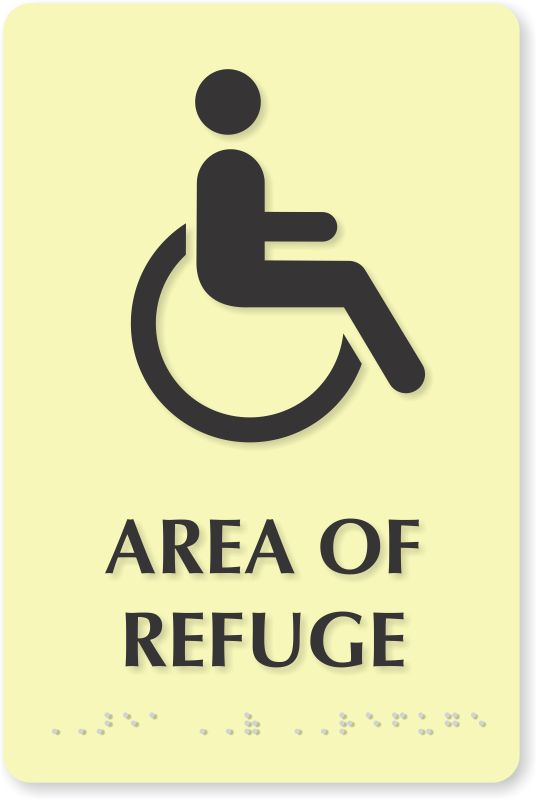 Signs comply with California Braille specifications too, which are accepted nationwide. 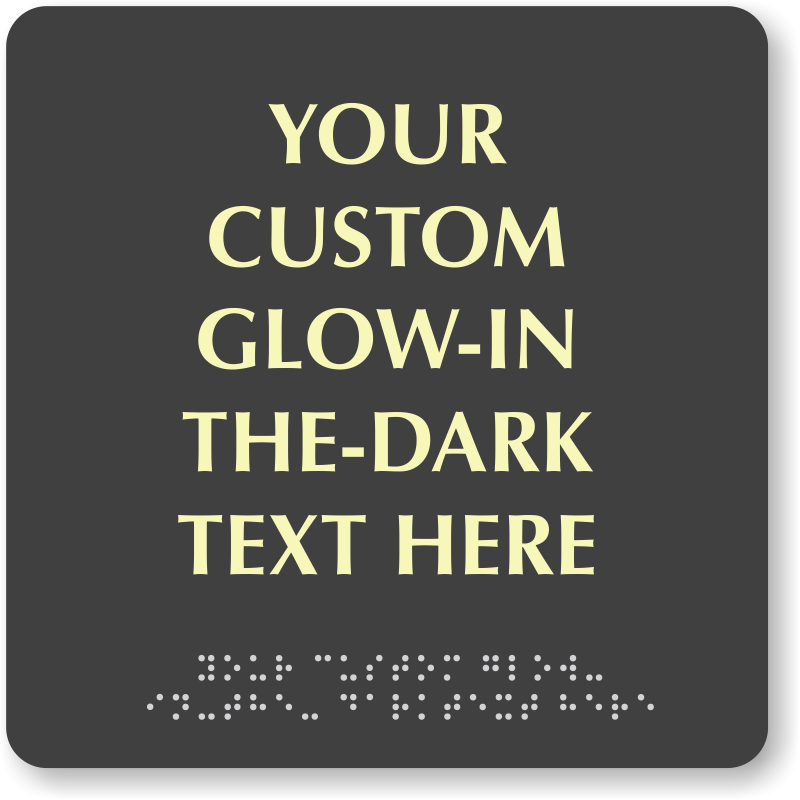 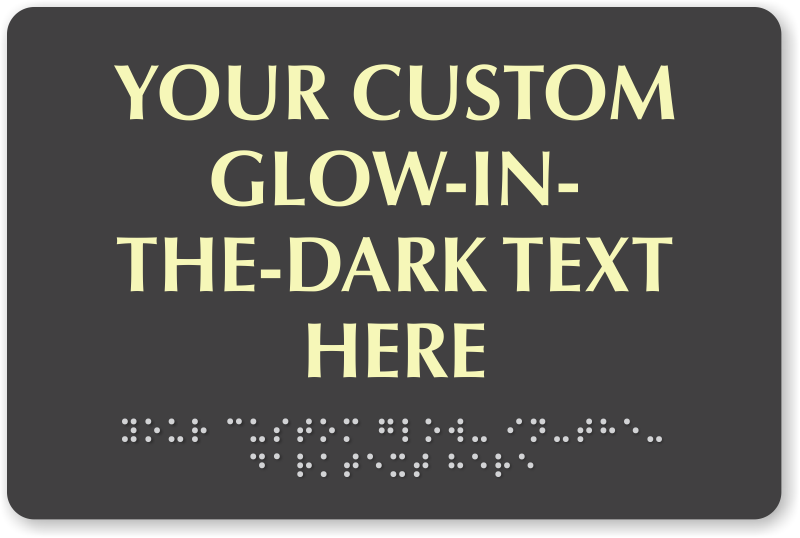 • Photoluminescent Braille Signs can glow up to 8 hours. 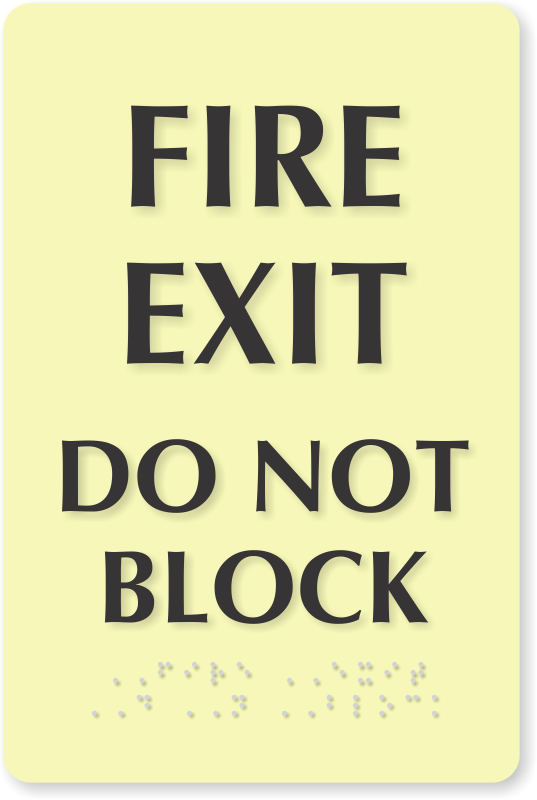 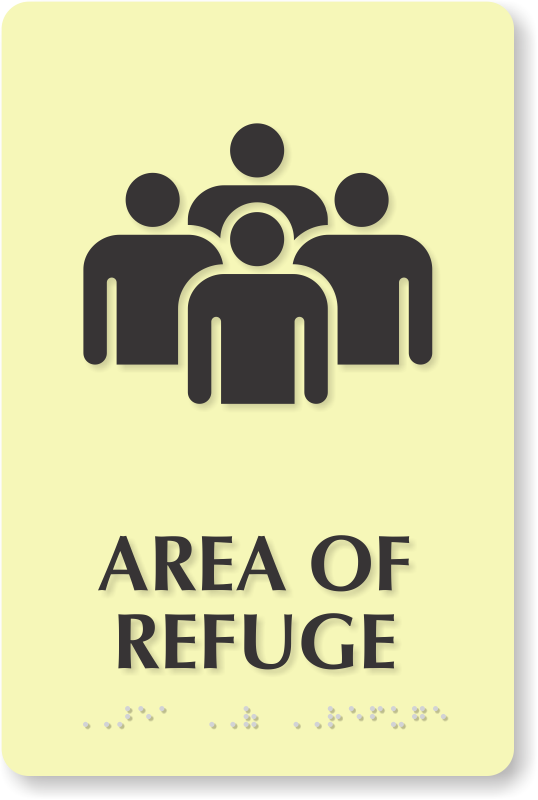 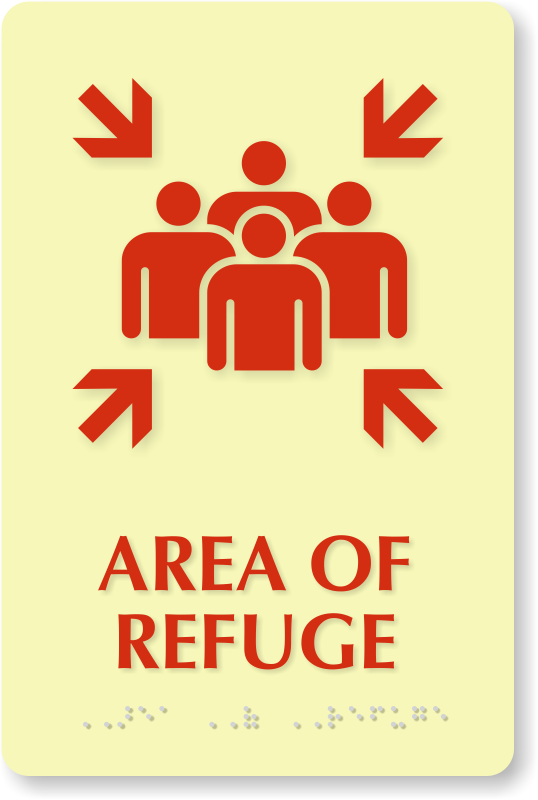 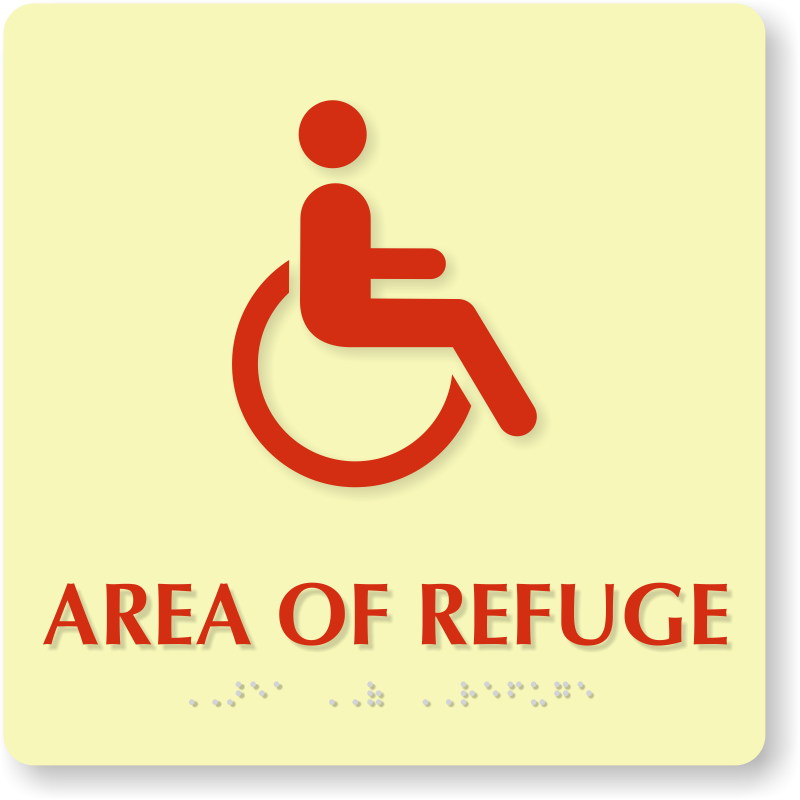 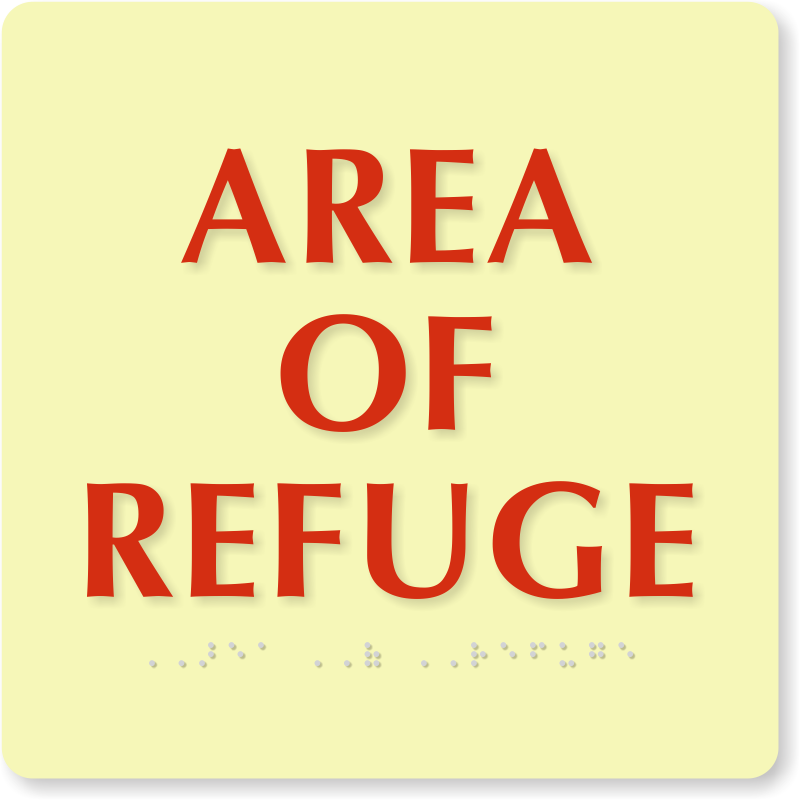 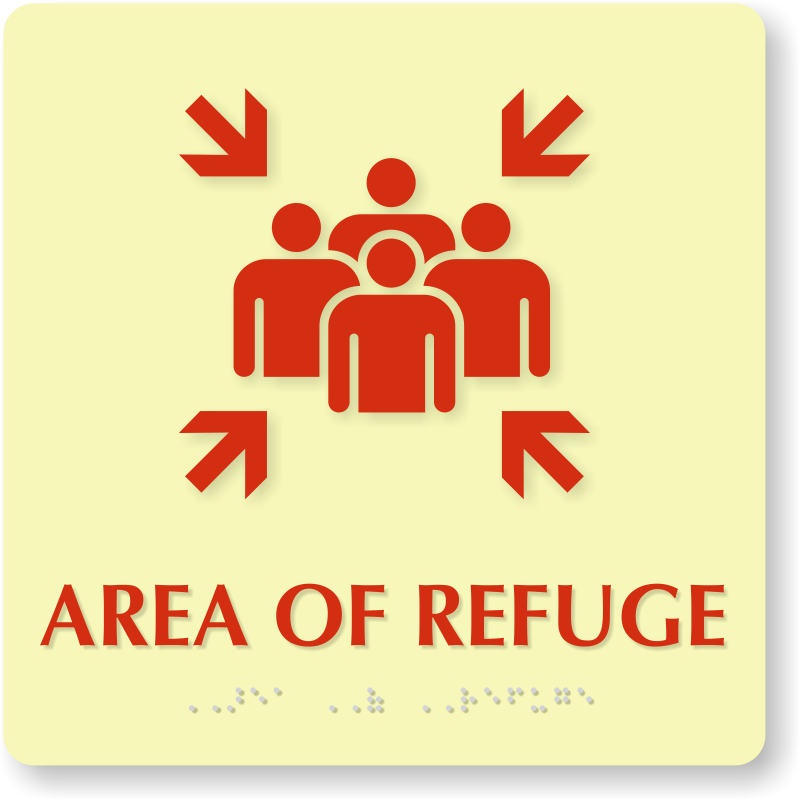 • Made using 22 mil thick rigid plastic that is scratch, chemical and vandal-resistant, signs work great both indoors and outdoors. 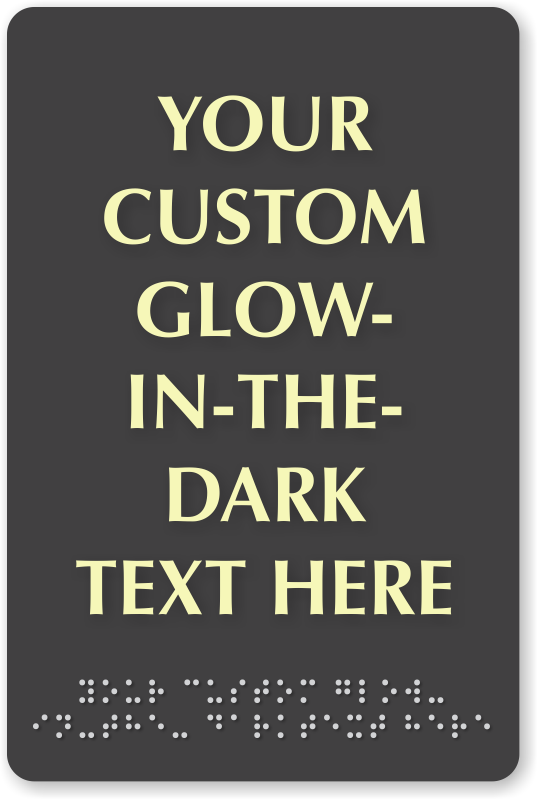 • Get the best quality signs at low prices. 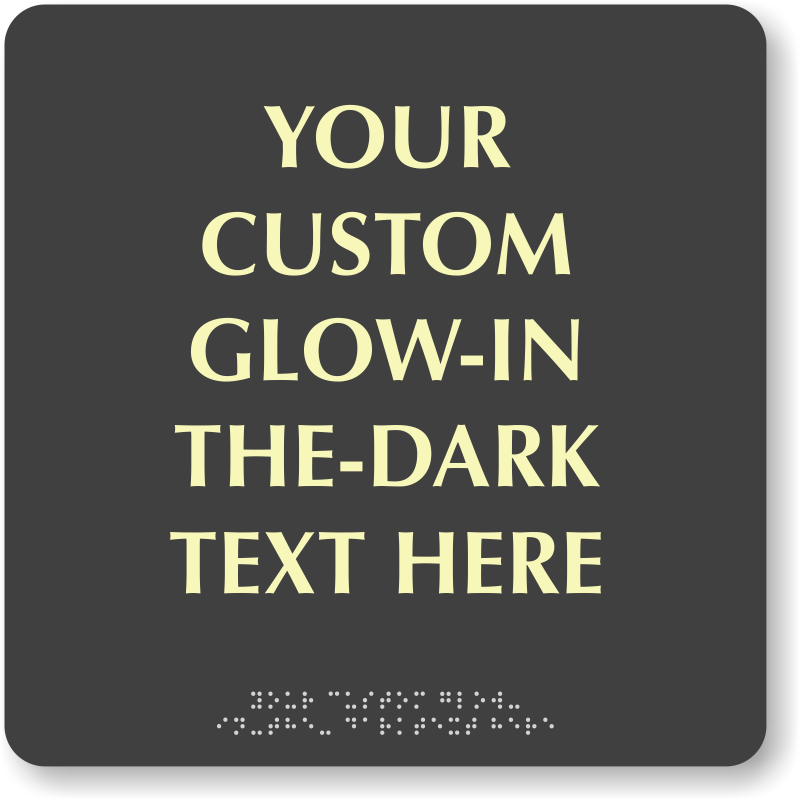 We also offer customization options, including adding a logo, name and more at no extra cost! 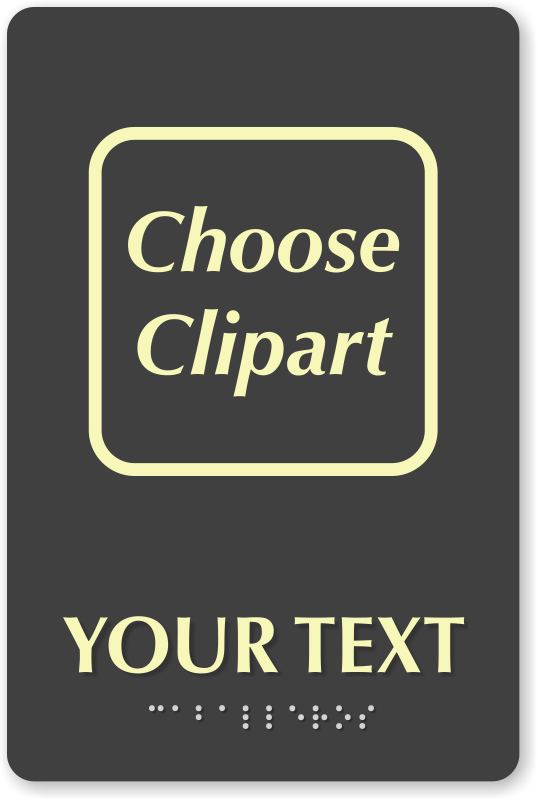 • Don't see what you're looking for? 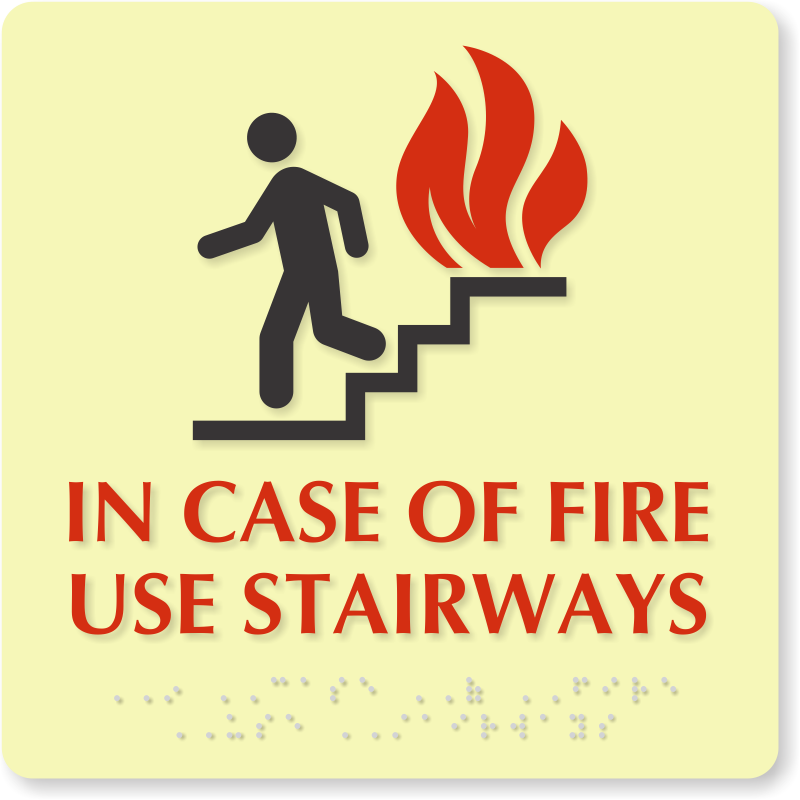 Call us, we're here to help!